Looking for a way to stay younger longer? Join us at The HUB for an afternoon of fun, resources, refreshments and giveaways. Does your business want to take part in this event? Call the HUB to join the list of resources. 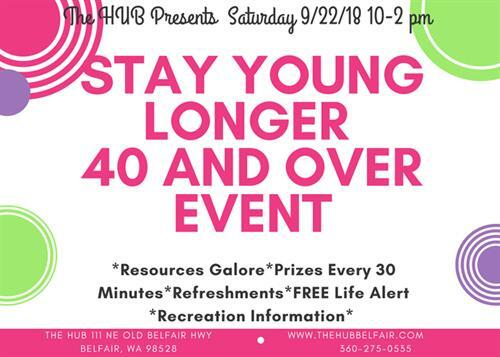 Or just join us on the 22nd from 10-2 pm to learn what we all need to know about staying younger longer.